For Jan Phillips, photography has always been an act of intimacy -- whether between other individuals and herself, the earth and herself, or the great mysteries and herself. She writes, "Because of this intimacy, more of me is poured out into the world, and more of me is fed and taught by the world. It is a great opening when one looks through the lens -- a mighty opportunity for a magical exchange." In addition to being a photographer, Jan Phillips is an award-winning author, visionary thought leader, dynamic workshop facilitator, and Executive Director of The Livingkindness Foundation. 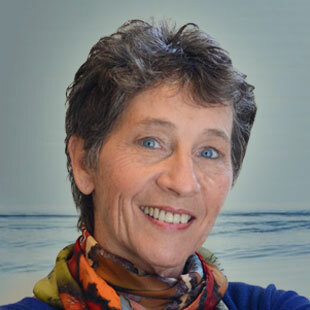 She is profiled in S&P's Living Spiritual Teachers Project. She ignites original thinking and inspires action through images, music, poetry, and storytelling to evoke deep, non-dualistic creative expression. In this exclusive e-course on contemplative photography developed for Spirituality & Practice, Jan invites you to join her in making photography a spiritual path. Although photographers will no doubt incline toward this e-course, you do not actually have to take pictures to participate; just an appreciation of the image as a vehicle for revelation is enough. Through the process of looking for and taking pictures, you will learn to open up more, take some risks, become more mindful, and be more observant about the thoughts behind your actions. Access to collections of Jan's own photographs that illustrate the projects she suggests for you. Along with many other creative practices, Jan will provide selections from a lifetime's treasure of inspired quotations, which you can then use to inspire the taking or collecting of photographs to make your own posters. Jan has been using a camera to express her emotions, heartbreaks, and hopes since 1969. Looking at the body of work she has amassed, she can see how photography has enabled her to capture the action of peace and human rights rallies -- "so that no one can deny we were there" -- yet also the silent metaphors of contemplative journeys.